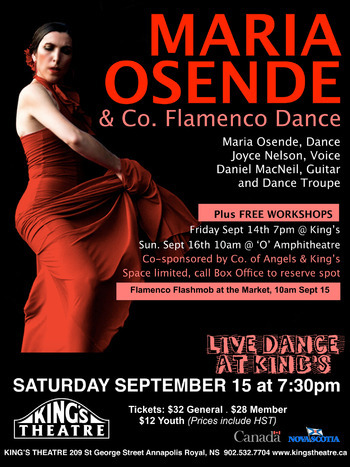 We are excited to welcome Maria Osende back to King’s Theatre, is an audience favourite. This show will feature a “pop-up” dance troupe of local dancers who opt to attend Maria’s Flamenco workshops over the summer. 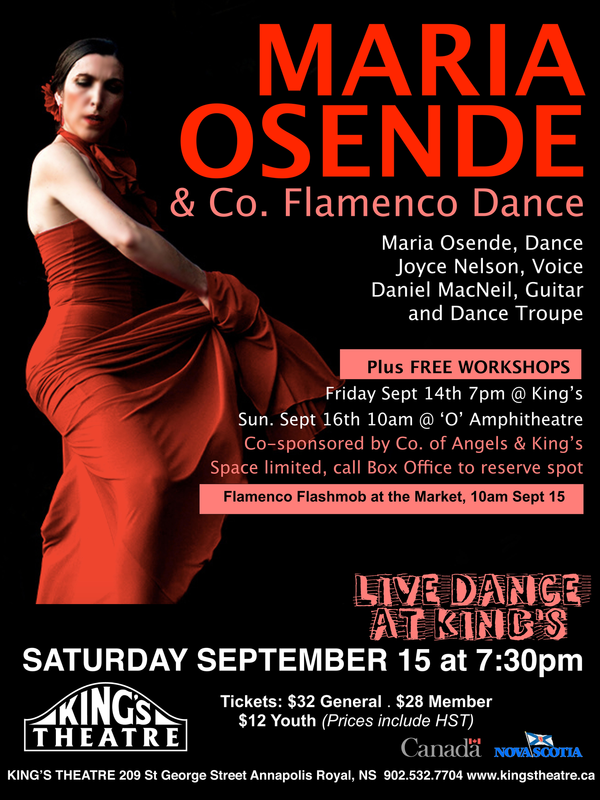 Maria Osende is a Nova Scotia-based Flamenco dancer, teacher and choreographer from Spain. Her personal and unique artistic voice complements her deep knowledge of flamenco, ballet and contemporary dance. Her solo and company work is engaging and impeccably produced. Her vision is one of flamenco as an open artistic form that is powerful and relevant in today’s world, and that can communicate with audiences everywhere. In the fall of 2015 Osende was awarded with the “Established Artist Recognition Award” by Arts Nova Scotia and the Creative Nova Scotia Leadership Council.